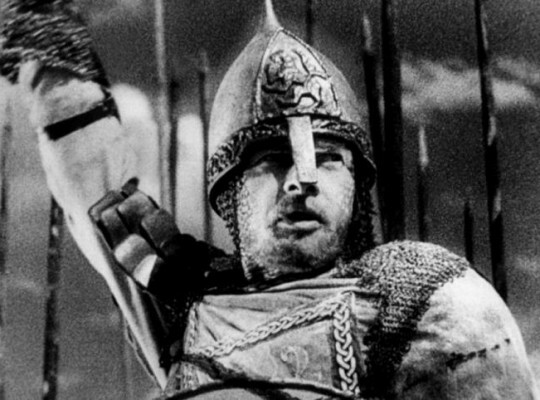 Director Sergei Eisenstein’s epic Alexander Nevsky features some of the most beautiful imagery ever put on film, a majestic music score by Prokifiev and a dazzling, climactic battle on a frozen lake. In 1242, Russia in being invaded by two sides: from the orient by the Mongols and from Europe by the Germans Teutonic Knights of the Holy Roman Empire. The last free city in Russia, Novgorod, calls the Prince Aleksandr Nevsky, who had defeated the Swedish in a previous battle, to defend the city.